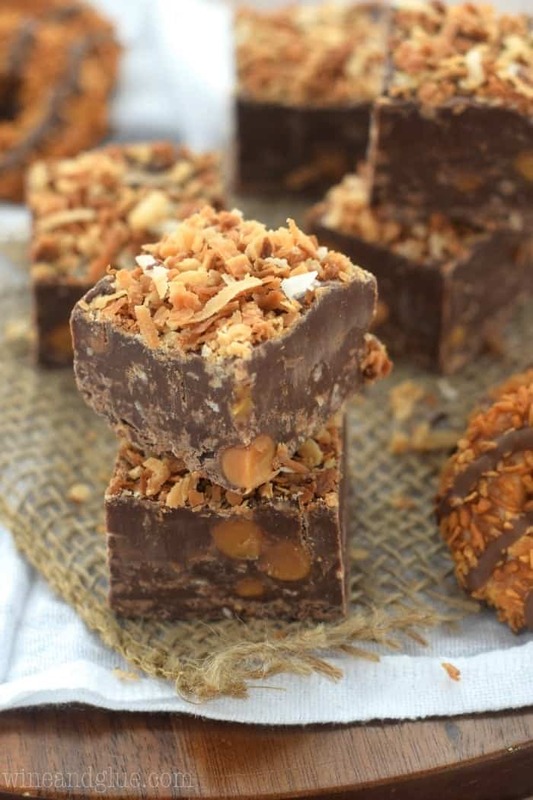 When you can’t wait to get your Samoa Girl Scout cookies, just make this Samoa Fudge! 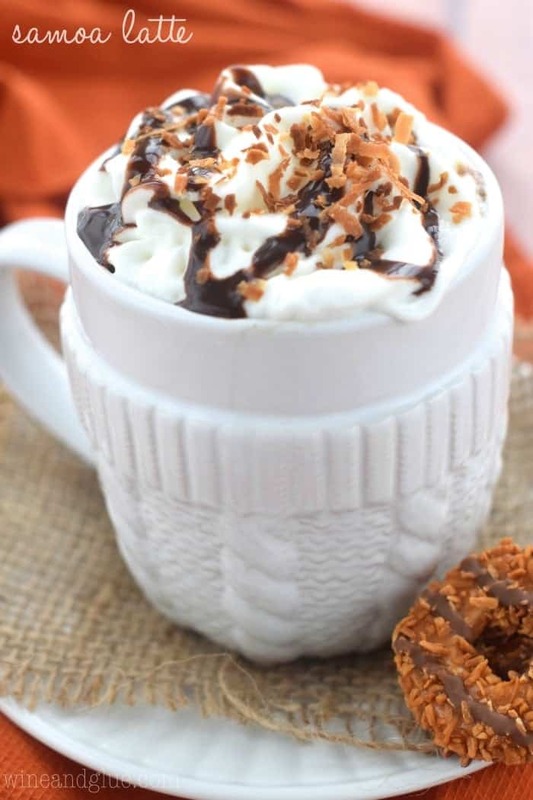 It is easy to make and full of the best flavor combination of caramel, chocolate, and coconut! It its only five ingredients and it needs to be the next fudge recipe that you make! 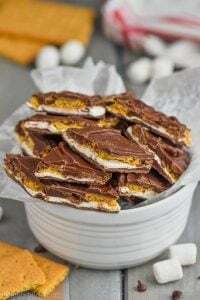 When we want Girl Scout cookie recipes we also love to make this thin mint truffle bark, this tagalong cookie dough dip, and this samoas poke cake! For some reason I’ve been missing my mom like crazy lately. It must be because life feels so stressful right now. Work, sick kids, cabin fever, just life . . . It always just makes me want to call my mom and complain. I mean vent. I mean get helpful advice. Okay, all of the above, but seriously, mostly just complain. Why is it that moms are the best people to complain to? Like the people that you can complain to and not have to really worry that you sound like a big whiney baby because they will love you anyway. And then there is the missing seeing her with my kids. I saw this grandmother with her grandchild at the grocery store the other day. She was telling him that he needed to hold her hand or she was going to carry him and he turned and reached up for her. It was the sweetest thing. I was so overwhelmed with missing my mom and wanting to see that between her and one of my kids. Dear Grandma in the parking lot, thank you for not getting out your pepper spray when you spotted the mom looking at you with a big crazy goofy grin on her face and tears in her eyes. It’s so hard not having her here to help with them. To know them. To be able to call them with those itchy concerns I have, those things that just make me worry about my kids and how they are doing, you know the things that just scratch at your brain. I wish I could call her and have her, someone who is such a great mom, who gets kids, who gets my kids, give me her insight. Thanks for letting me unload all of that on you. I’m sure if you are a young mom without a mom you get it. And if you still have your mom, call her and tell her how much you love her. Or don’t. She’ll love you anyway. Can we talk about Samoa Fudge now? It’s a lot less sad. I mean, it’s not sad at all. It’s just awesome. Milk chocolate chips and unsweetened chocolate chips are mixed together with some caramel bits (click link to see the caramels I used) and toasted coconut and then topped with more toasted coconut. It’s like chocolate fudge and samoa cookies got frisky and had the world’s most beautiful love child. 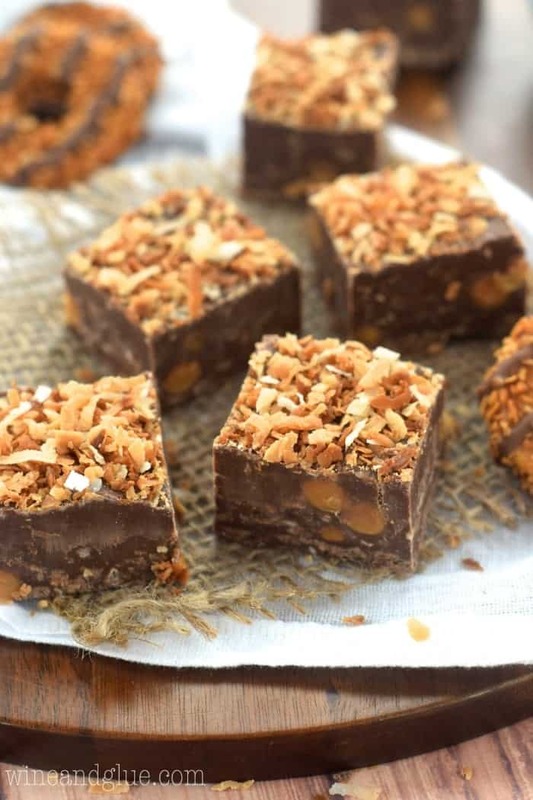 When you can't wait to get your Samoa Girl Scout cookies, just make this Samoa Fudge! 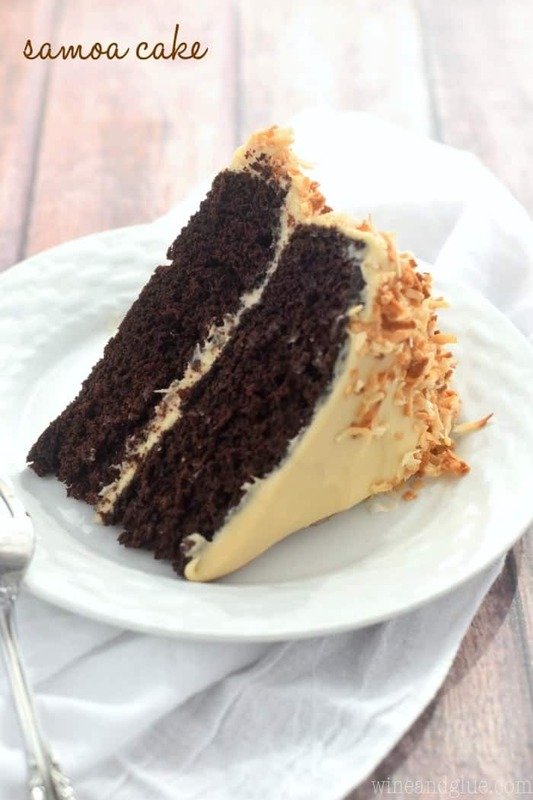 It is easy to make and full of the best flavor combination of caramel, chocolate, and coconut! It its only five ingredients and it needs to be the next fudge recipe that you make! Line an 8 inch by 8 inch square pan with aluminum foil. Set aside. Over medium low heat, melt the two types of chocolate together with the sweetened condensed milk. 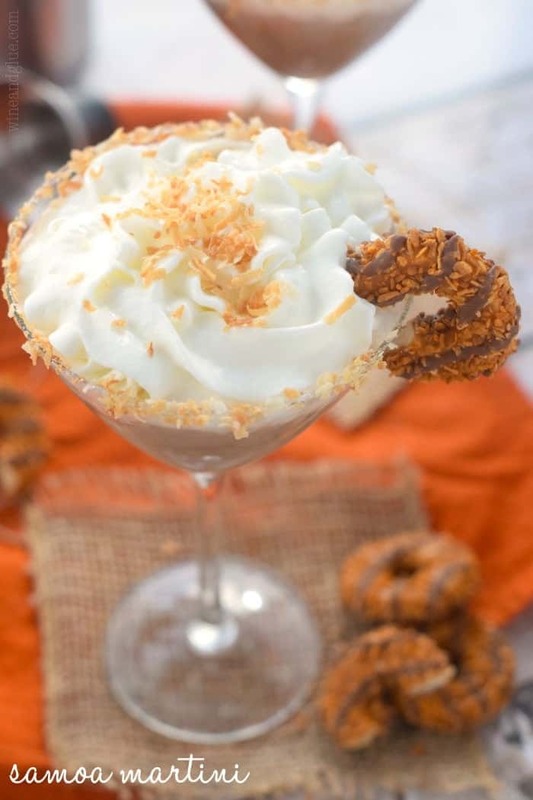 Once the chocolate is smooth, mix in 1/2 cup of the toasted coconut and the caramel bits. 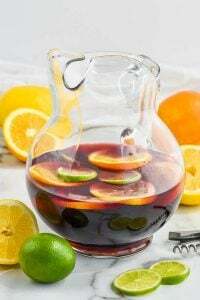 Pour into the prepared pan. Working quickly, top the fudge with the remaining 1/2 cup toasted coconut and press down gently. Allow to completely harden before cutting. 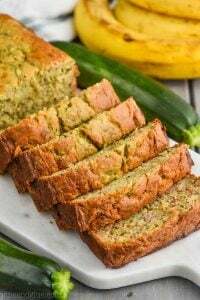 Cuts best when cold from the refrigerator. 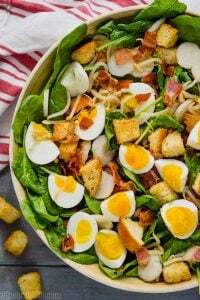 After cutting, store outside of the refrigerator in an airtight container for up to a week. I love your writing. The “love child” thing. Also, thanks for sharing about your mom. I haven’t lost my mom yet, but I can imagine the hole in your heart from missing her! Lisa, I’m so sorry about your mom. It is these little moments that add up and make it harder, but I like to think our loved ones are still with us in some way that we can’t fully comprehend. So yeah, hard to transition to fudge after that thought, but it is wonderful. Way to give Samoas their due! Losing anyone is difficult, I can’t imagine how hard it is without a mom. Although I’m not a mom yet, I know how reliant I am on my own mother. She’s a wonderful motivator and advice-giver. Keep her memories alive <3. 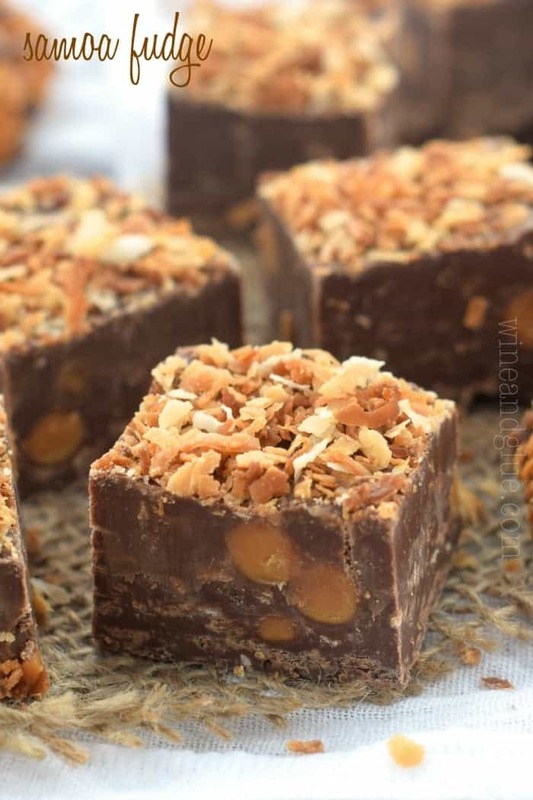 I love this samoa fudge. I need to make it as soon as possible! 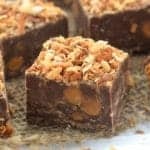 Lisa, just found your website and am copying a lot of your fudge recipes down to make to send in a care package to my son in law, in Afghanistan, for the holidays. Look forward to making them and I understand what you mean about missing your mother. I lost mine 44 yrs ago when I was only 28 and there are times I miss her as if it was just yesterday or when I’ve needed her advice. There will be times that you miss her more than others. Just know she is always with you, in spirit. Thank you so much for this sweet note, Faye. I hope your son loves the fudge as much as I do. I’m sure he will be able to taste the love it was made with. And while I hate that you get it about mother loss, I’m so glad you get it.